The combination of GTX 950 and Windows 10 is not uncommon when it comes to Code 43 with NVIDIA. But no need to worry so much about it, there are ways to get it fixed. 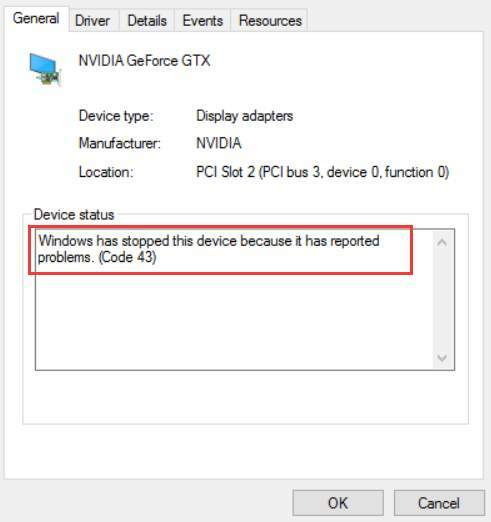 c. Windows cannot recognize faulty hardware either, so please make sure that your display card is in good conditions. To perform a clean re-install of your graphics card driver, you may need some help from tools like CCleaner or Display Driver Uninstaller. In this post, we choose Display Driver Uninstaller. 1) First, you need to download Display Driver Uninstaller. After the download, extract the setup file from the downloaded folder. Then double click the Display Driver Uninstaller file to get started. 2) Make sure that you have saved all your files and folders. Choose from the drop-down menu Safe Mode (Recommended). Then hit the Launch button. This allows you to go to Safe Mode and then DDU will clean uninstall your graphics card driver for you. 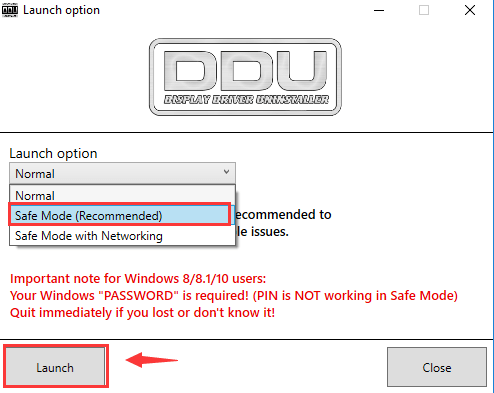 3) In the safe mode, click the Clean and restart (Highly recommended) button so DDU will start with the uninstall. 4) Wait for the process to finish, and your PC will restart in normal mode. 5) Then go to NVIDIA drivers download website and search for GTX 950 driver for your device. After filling in the blanks, hit the SEARCH button to continue. Then follow the on-screen instructions to get the driver downloaded. When the download finish, just double click the setup file to run the driver installation. 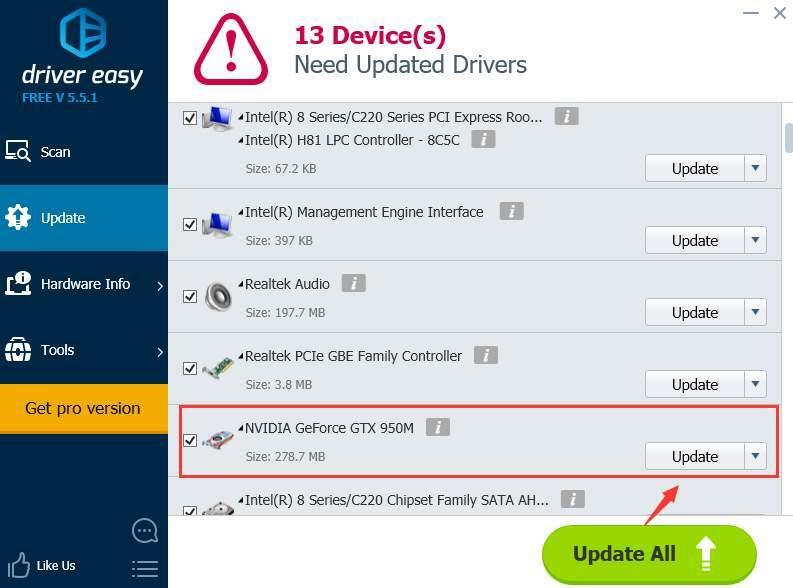 6) If you don’t have the time, patience or computer skills to update your drivers manually, you can do it automatically with Driver Easy. 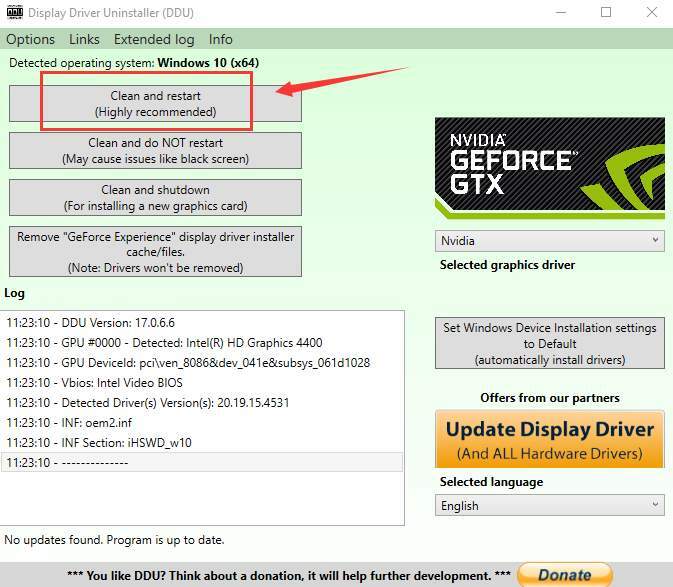 3) Click the Update button next to the flagged NVIDIA driver to automatically download and install the correct version of this driver (you can do this with the FREE version). 1) On your keyboard, press Start button, and then choose Setting icon. 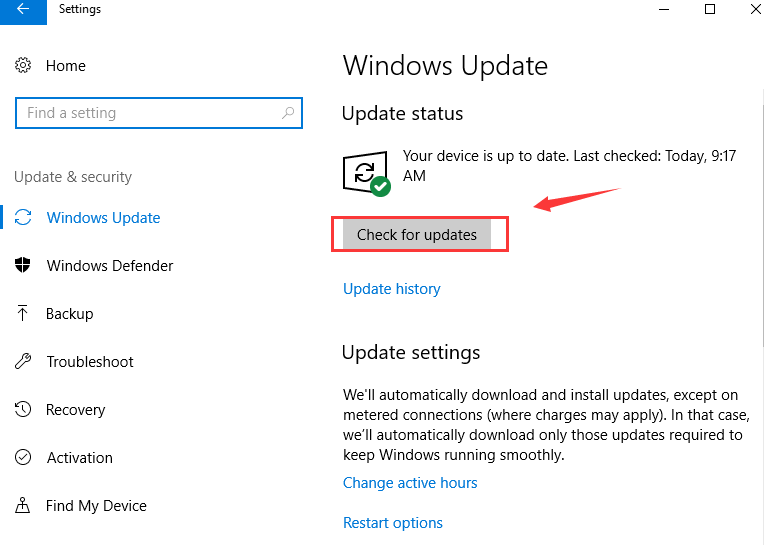 In the Setting window, click Update & security. 2) Click the Check for updates button to see if there are any new updates available. 3) If new updates are available, just download and then update them as instructed. 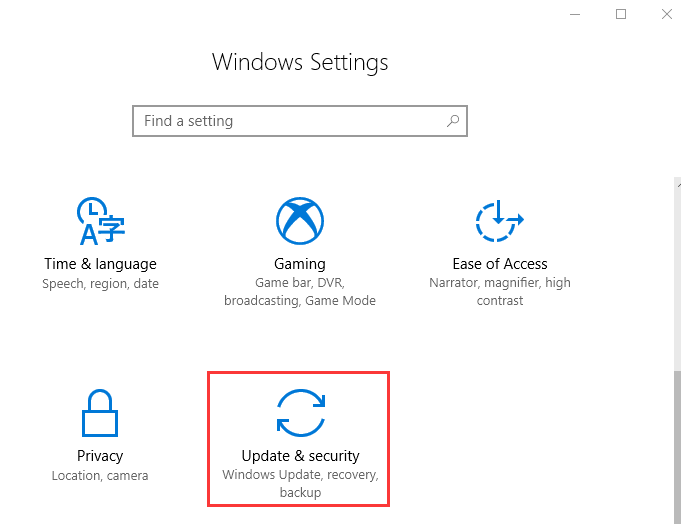 4) Restart your computer after the update. Then check to see if the code 43 still remains. Updating BIOS is said to solve the problem for many, but it requires you to master a rather high level of computer knowledge to update BIOS by yourself. So if you are not exactly a tech savvy, we suggested that you go to the manufacturer support website and get all the support available before you move on to update your BIOS. Warning: Please do make sure that you are fully aware of what you are to do before you choose to update your BIOS. Unrecoverable errors are the last thing we want to see. After you make the decision of updating your BIOS, go to the manufacturer website of your PC and see if the latest version of BIOS is available to download. Then follow the instructions to get your BIOS updated.